www.Farbs.org - Indie games woo! The International Space Station, so far as I'm aware, does not have laser cannons. Nor does it have giant rocket boosters. I do not believe that you have ever taken it for a joy ride. However, I am surprisingly familiar with that scenario. I have played Captain Forever. Described as "Meccano Asteroids", Captain Forever sees you pilot your modular spacecraft with one hand, while simultaneously constructing it with the other. 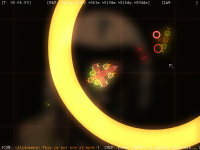 Captain Forever is a collection of browser based games that run in flash. You can play the first game free right now. Do you dare brave dangerous dungeons? Are you ready for the monsters within? 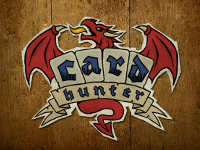 Card Hunter splices CCG with RPG for SP and MP loving NERDs. I'm working on this with the fine folks at Blue Manchu, and it's now available on Steam and in browser. High above the Earth, then a smidgeon higher, a cast of colourful cloud-hoppers hop from cloud to cloud. Skipping ‘twixt rainbows, kites, and companions, they collect the many MacGuffins to unleash a magical joy. No thing could be finer, were it not for a competitive urge that hides in their little clopper hearts, or the perilous drop to the Earth, far, far below. 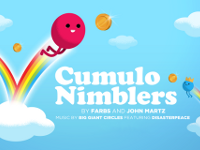 Cumulo Nimblers is a sort of party game. It isn't the sort of game you create a party around, so much as a game you might leave on in the background of a party for anyone who, for whatever reason, is having trouble conversing. It was built for Comics vs Games as a collaboration with comic doer John Martz, with music provided by the wonderful Big Giant Circles. It's a dropin - dropout - chilled out cloud-hop-a-thon. 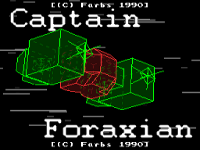 In a moment of meta overindulgence I decided that Captain Farbs, the protagonist from the Captain Forever series, should make his own game. This is it. It's a Galaga inspired arcade shmup created from the perspective of someone who is themselves dogfighting in space. In short: PEW! PEW PEW! PEWPEWPEWPEWPEW! 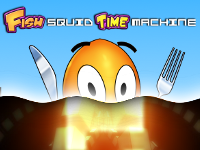 "Fish Squid Time Machine is scary and loud. Also the controller often vibrates. I hear that's called rumbling. There is a donkey. I'm not sure why. I have heard that you control the fish squid, but this is not readily apparent." - Lan, doesn't play games, age 30. Look down the page a bit and read the description of Fishie Fishie. Sounds fun, huh? Now imagine that game rebuilt for streamlined multiplayer, supporting 1-52 players on a single Xbox 360 through the magic of single button interfaces and controller sharing. Featuring drop-in-drop-out coop, gratuitous belching, and fights over who's tugging at the controller, Fishie Fishie Fifty is guaranteed to start a punch-up between any group of players. What do you get when you let people make a giant interlinked gameworld? Nothing! It's hard work, and nobody wants to do it. That's what I discovered the first few times I tried this. Then I remembered - painting giant pixels is fun! This idea became PlayPen, which is a sprawling landscape of other people's ideas, all interlinked, all editable, and mostly offensive. Please keep in mind that PlayPen is not closely moderated, and contains content that may be considered inappropriate for children or the workplace. Enjoy! This game was made over three weeks for the TIGSource VGNG competition. If you like weird indie games (and I think perhaps you do) then you should totally check this contest out. Totally. Yesterday I played a game that had three different buttons for "jump". Three! I mean, really, what's happened to the world? How am I supposed to keep an eye on the kids, stay up to date with current affairs, and remember which button to press when I want to esape the toothy maw of an airborne crocodile? 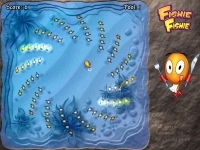 In protest I built Fishie Fishie, a game you play using exactly one button. Just one. If you want you can play it using lots of buttons, but there's not much point because they all do exactly the same thing! Fishie Fishie is a dazzling kalideoscope of high speed sea food, all lovingly illustrated by the fabulous Simon Lissaman. As anyone who's built maps for tile based platforming games would tell you, building maps for tile based platforming games is fun. 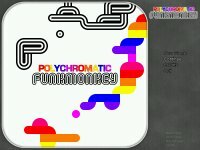 That's why I made Polychromatic Funk Monkey, a tile based platforming game about building maps for tile based platforming games. In Polychromatic Funk Monkey the eponymous monkey of funk brings order and rhythm to his chaotic land, arranging the blocks he finds into towering staircases and bridges in the sky.